Proposal surfaces for $20 million conversion of Ponce Student Suites into hotel near Ponce City Market. Kim King Associates, Ross Hotel Partners, and WHI Real Estate Partners are proposing a boutique hotel at 551 Ponce de Leon Avenue. The Atlanta Business Chronicle Thursday first uncovered the proposal (paywall). Beau King, founder and CEO of Kim King Associates, confirmed the plans in an email Friday to What Now Atlanta. The $20 million project would be an overhaul of the former Ponce de Leon Hotel which is currently operating as Ponce Student Suites. In addition to 112 rooms, the hotel would boast a restaurant and bar. An existing 7,000-square-foot, two-story structure, would be revitalized as part of the project. Ground could break in the summer and the yet-to-be-named independent hotel could open fall 2020. 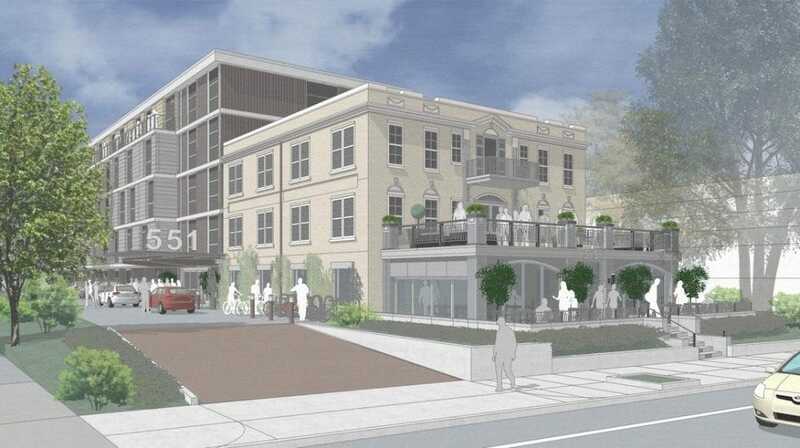 This would be the second boutique hotel revitalization project for the immediate area in recent years. Developers last year unveiled Hotel Clermont nearby after years of renovations. string(43) "551 Ponce De Leon Ave NE, Atlanta, GA 30308"